The DC 508A 1.3 GHz Counter measures frequency from 10 Hz to 1.3 GHz. Frequencies from 10 Hz to 100 MHz are measured using the direct input and from 100 MHz to 1.3 GHz using the prescaler input. The Counter also totalizes events from 0 to 000.000,000. Nine 7-segment light emitting diodes (LED) provide a visual numerical display which allows resolutions of 1 kHz to 1 Hz (0.1 Hz when using the direct input). The decimal point is automatically positioned and leading zeros to the left of the most significant digit or decimal point are blanked. Digit overflow is Indicated by a front panel LED. 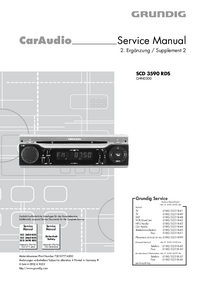 The 50 Ω prescale input has a vswrof 2.2:1 or less and is protected by an easily replaced front-panel fuse which opens at approximately 9 V rms. 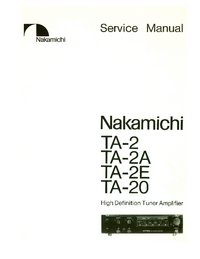 A wide-band limiting Amplifier with automatic gain control allows an input sensitivity of 20 mV rms over the frequency range of the prescaler input. If the input signal falls below the minimum level allowable for error-free prescale counting, the LED display is blanked and an input error light is lit. Direct input signals can be applied to either a front-panel bnc connector or to the rear Interface connector. 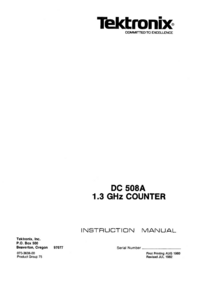 The DC 508A operates in Tektronix TM 500-Series power modules only. It will operate in any compartment of a multiple-compartment power module.